We cover Clare, Limerick & Galway for church weddings, civil weddings, spiritual ceremonies & reception music. We can provide a beautiful mix of instrumental music and singing. Caroline is a professional singer based in Lahinch Co.Clare. She started singing from a very early age both at home and at school where she developed a passion for Irish songs and musicals. Since then she has brought her singing talents abroad to many countries delighting varied audiences. At home in Lahinch she gained much experience by singing the lead roles (for 15 years) in the choral and musical societies. 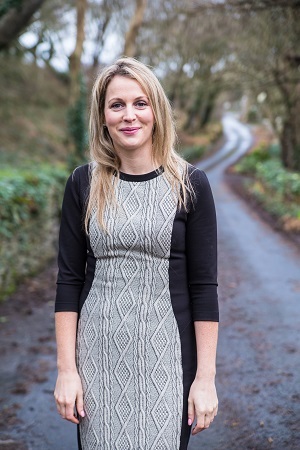 This combined with some expert voice tuition over the years both in and out of Ireland have pushed her voice into something that seems to be able to do anything effortlessly. She intends to keep doing what she loves most which is singing, be it in a church, a stage, or impromptu. 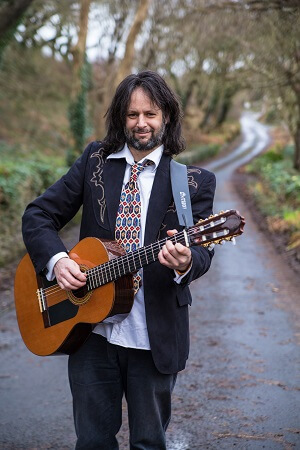 Quentin has been playing the guitar since 1986, with several styles of music starting with rock, then traditional irish music, and also classical. He learned much about music from the Rolling Stones producer (RIP) Jimmy Miller whom he worked with and lived with in London in ’93. From Dublin he moved to Lahinch in Co.Clare where he began playing the Mandolin in a traditional Irish band called ‘The Céili Bandits’. While setting up a recording studio, and recording several artists from Rock to trad acts, he has learned to play the fiddle and banjo and plays them in other bands like ‘The Fiddle Case’ and ‘Crag Road’. Currently he also plays with Jon O’Connell in another band called ‘Badmoon’ playing both original and cover songs with acoustic and electric guitars. Also he hosts several traditional irish sessions around Clare with his friend, the local legend Eoin O’Neill. All this has contributed a lovely silky acoustic backbone to the sweet playing and singing from Yuki and Caroline. Yuki learned Suzuki method classical violin in Japan from age 3, yielding her prizes in national & international solo & chamber music competitions. Bachelor of arts degree in instrumental music and postgraduate study of instrumental music (violin) in Aichi Prefectural University Fine Arts and Music. After much freelance experience in teaching and playing in Japan, she moved to the west of Ireland in 2008. She learned traditional Irish music from many players around Galway and Ennis in Co.Clare. 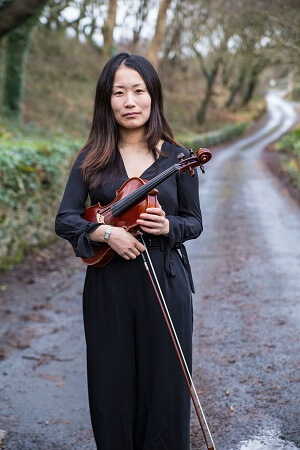 She has been teaching classical violin privately, and in Limerick and Galway since ’09, as well as playing with the chamber orchestra ‘Sing Our With Strings’. Caroline, Quentin and Yuki have spent many years honing their craft through various different avenues to arrive as the perfect Wedding Ceremony music band together. Caroline will look after each couple personally to ensure your tastes and playlist adds to a memorable day. Here at The Secret Chord, we really enjoy being able to share your special day. We love ensuring that you and your loved ones really enjoy the day relaxing to the beautiful music and songs. Wedding Ceremony Singer & Musicians based in Lahinch Co. Clare.